This product is designed and manufactured by the leading bathroom brand Ultra. 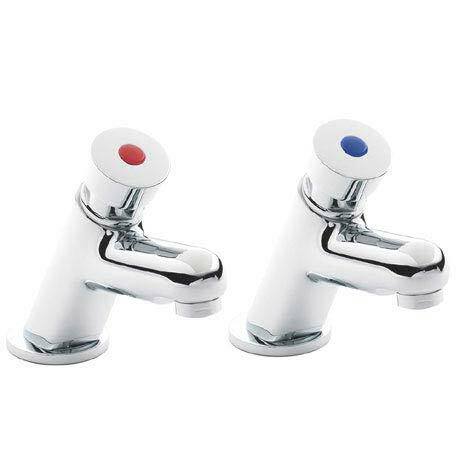 The Non Concussive taps are operated by simply pushing the relevant tap and water is dispensed. This style of tap can be used in a domestic system but is most commonly found in public/commercial settings. Q. How long does the water run once the top of tap is pushed? Hi, it depends on the pressure, but manufacturer measures 15 seconds at 3 bar. I hope this helps! Great quality just the job.